For easy and ergonomically correct seedling planting. 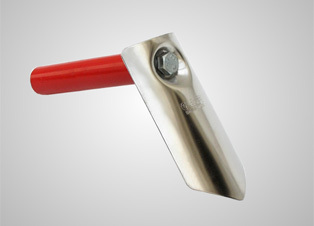 This right angle trowel is ergonomically designed to be easy on the wrist in contrast to most standard towels. The blade is made from stainless steel and is resistant to soil acid.